Look for an email on 8/27/15 from Peach Jar with the Newsletter. I want to introduce you to a new digital service called Peach Jar. We want to reduce the amount of paper that we send home, and this service will allow us to email out notices, newsletters and other items in a paperless way. Because of this it is important that we have an email address on file so that we can send you these things. My goal is to have this newsletter sent out through peach jar by Christmas. Some people still really rely on the paper copies of things. If this is the case please contact the office and let us know if you want paper copies of this newsletter. Here is the September Newsletter! We will have a guest speaker, leadership activities and PIZZA! Come start the year off right by joining us in our 5th Grade Leadership Pizza Party. We will be practicing the 7 Habits and assigning leadership roles for Open House and the first few weeks of the school year. Here are our Student Supply Lists! As soon as I have 5th grades ready I will update it again. Parents can access all of their student's information online. Just follow these directions. 1.You must know the student ID and DOB for at least one of your students before beginning the process. 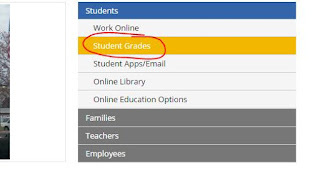 2.Access the Passport Portal at this url https://portal.besd.net/Passport/loginp.aspx or by going to the Box Elder District Homepage http://www.besd.net/index.php and clicking on the “Student Grades” link. (see graphic). 3.Once on the Passport Login Screen, the parent can click the “request an account” link and will be prompted through the steps to complete the process. 4.Once they have completed the process, they can log into Passport or Aspire. The url for Aspire is https://sisweb.besd.net/Login.aspx (there is no direct link from the district webpage that is readily accessible, since, as a general rule we have not been directing parents there). Well, the office staff is starting to get back to work now that August is here. We will be in the office most days during regular school times. Here are some important dates that are coming up. I hope that everyone has been reading and practicing their 7 Habits this summer!